If you are like me, when you see lovely handwork your face just lights up! 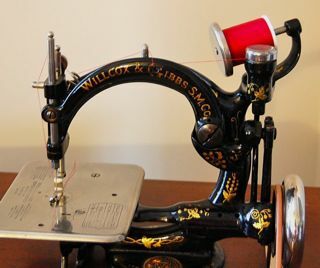 So much of our sewing had become a lost art and I do believe they are being revived! 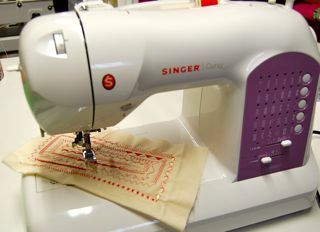 Many are still done by hand, while others are starting to use the sewing machine to replicate. I have been doing some of both. This name is only recent in our history - since early 1890s. Before that names such as Renaissance Lace, Tape Lace, Irish lace, Belgium Lace. The main element is the pre-made tape to outline and create the design. 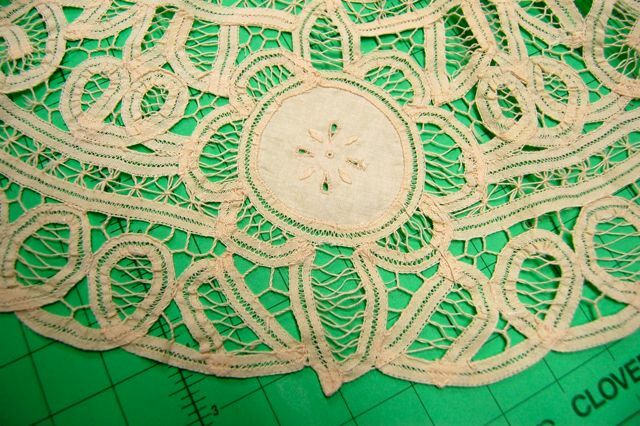 Holes are filledwith lace stitches. When sewing by machine I use foam board, and water-soluble stabilizer, and of course and embroidery hoop. Some may not see it as the "love" of handmade but very closeand I still feel very lovely results. Below is vintage Battenburg tape and design is handsewn. Easily replicated with the machine. Simply put - bridging two fabrics with lovely stitches. 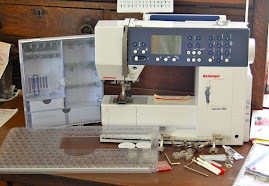 Use wing needle and sewing machine to replicate. The handmade collar has many small stitches! A row of rosettes adds further texture. Certainly replicate this on the machine by sewing off edge scallops! 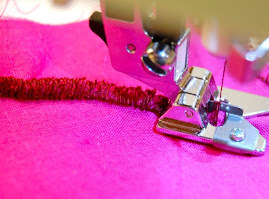 A very quick and easy hem edging is the rolled hem. Create by hand or replicate by machine. 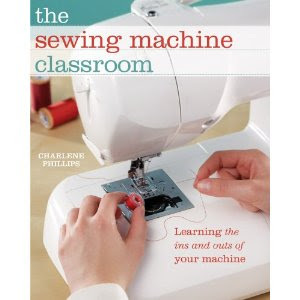 Whether you sew by hand or machine, always enjoy the beautiful things you create! Where have I been for a while? 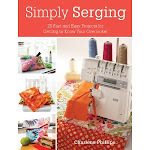 Haven't strolled far from computer and sewing machine as working on the second book and having a fabulous time as always! Promise to not stay away long! Gorgeous! What an inspiration! 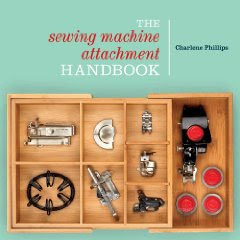 Oh I love my machines but sometimes I like just sitting there doing the handwork. It's portable and quiet. Very relaxing, isn't it! Glad to hear you are keeping our older technique going!